The other day, I came across the funniest article. Maybe not funny for most, but since I work with a lot of Swedish people, I thought it was hilarious. 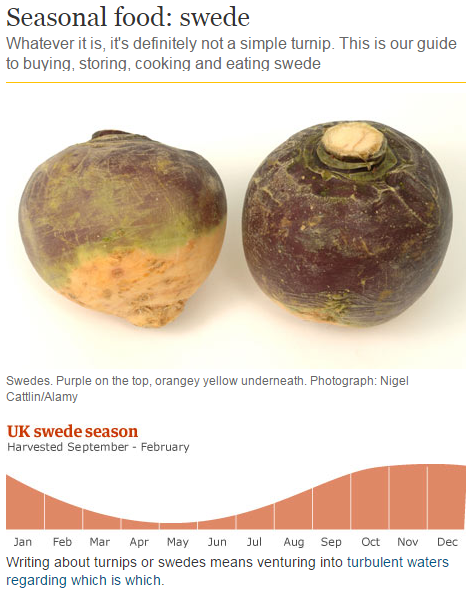 Apparently, there is a seasonal vegetable known by us Europeans as a Swede. So whenever you are mad at a Swedish person, you can tell them… ‘You are such a Swede!’ And most likely, they wouldn’t know you are calling them a turnip!